”Central Pasila is a good example of productive cooperation with the City of Helsinki and the authorities. The development of an entirely new district has demanded more than ten years of complex preparations and infrastructure construction,” Mauri Sahi says. Senate Properties, which manages real estate assets owned by the Finnish state, is developing and selling properties no longer used by the government. One of the most significant property development projects at the moment can be found in Central Pasila in Helsinki. 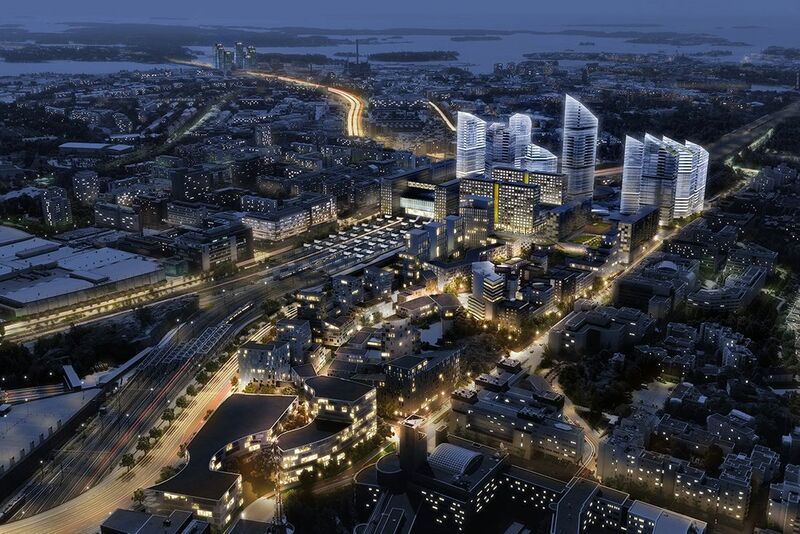 With the Tripla Center, the district will become a new hub for people, commerce, culture, and business in Helsinki. The rail yard blocks, which will be constructed north of Tripla, will offer space for 3,000 residents and 1,000 workers. According to Mauri Sahi, Director of Real Estate Development and Sales, one of the largest property development complexes in Finland will be constructed in the former rail yard area. “The location and market potential of the new area is tremendous, and together with the Pasila station complex, the development will attract new residents, workers, travellers, and customers coming to use new services in an unprecedented way,” he states. Another significant property development area is currently underway in Ruskeasuo, where Senate Properties, in partnership with the City of Helsinki and other landowners in the area, is planning a multi-form, densely built, and attractive residential area with services.